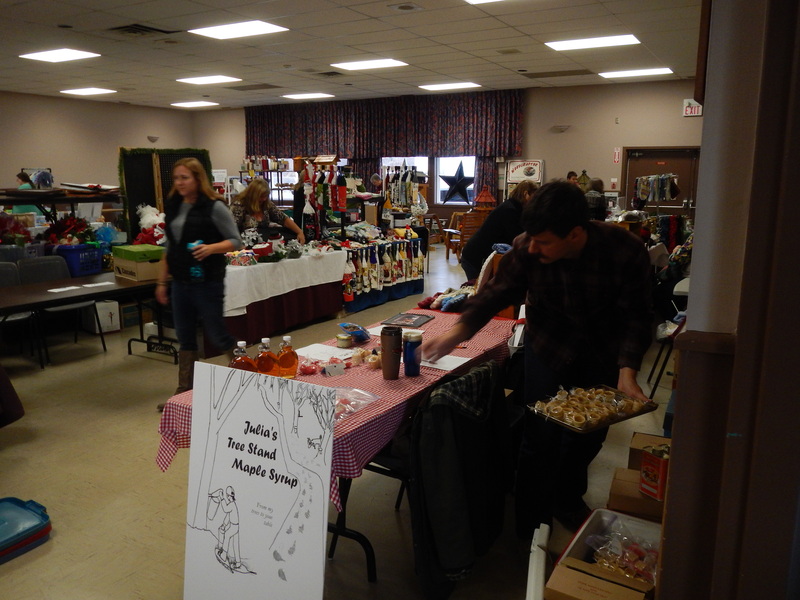 It was a crisp, Thanksgiving morning I made my debut appearance at the Constance Bay Community Market. I took the final step towards fulfilling my slogan From my trees to your table this Thanksgiving weekend by becoming a maple syrup vendor for the first time at the Constance Bay Community Market. What a delightful experience it was! I enjoyed talking to people about making maple syrup and enjoyed hearing others’ connections to this rich Canadian tradition; some used to make it themselves years ago; others know a friend of a friend who taps his/her own trees. The connections were plentiful. Having grown up in West Carleton, I was happy to partake in this community gathering and encounter such connections so close to home. Next I’ll be attending the Kinburn Christmas Craft Show in November. I will strive to add more products to my repertoire by then, including maple jelly and maple fudge! For those who want more maple syrup, please leave a comment below.